Everyone seems to love traveling in Italy. It’s a land of wonderful food and wine, centuries of history and art, and, of course, that wonderful dolce vita. But while traveling in Italy most of us stick only to the usual suspects – Rome, Venice, Florence, the Amalfi Coast, Bologna, etc. All are well worth visiting, of course. But there are many other surprises that await if you dig just a bit deeper into the magnificent countryside. There, among the ever-changing landscape, you’ll find some of the best places in Italy you likely haven’t heard of. During the many years I’ve traveled through Italy I’ve discovered many of these wonderful places. Here are five you may never have visited, but are worth seeking out on your next trip to Italy. Most Americans have never visited Lecce because it’s located in Puglia, far south down in the “heel” of the boot. Lecce well-known among many Europeans, however, and since it’s only about a 10-to 12-hour drive down from Munich. During the summer German travelers flock here en masse. It’s a great place to wander around, both along its beautiful boulevards as well as all the little streets and alleyways that are lined with shops and restaurants and which meander all over the city. Yes, that Vinci, the home of Leonardo, is also one of best small towns to visit in Italy. It’s located in Tuscany about halfway between Pisa and Florence. And although Vinci is a bit off the beaten track, if you have your own car it’s well worth a half day’s visit. 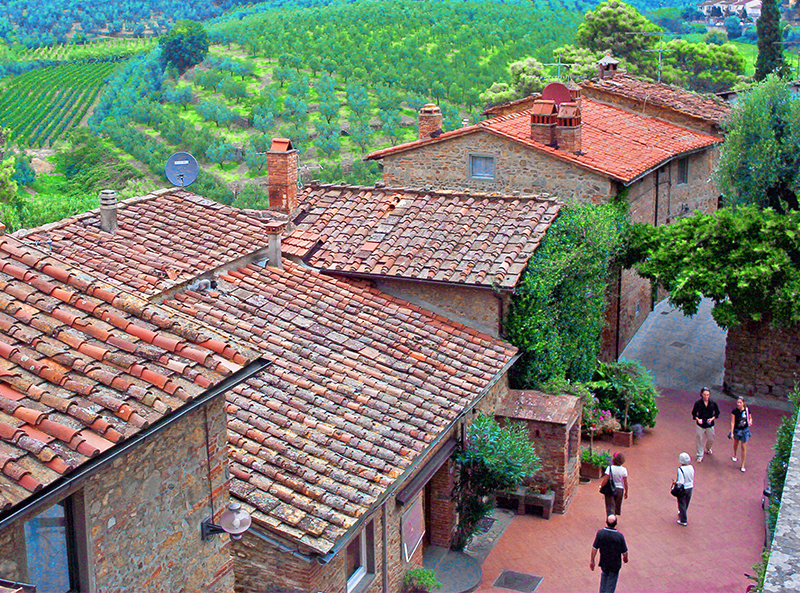 Leonardo’s home town is a pretty little Tuscan hilltop town. Here the locals pay homage to their famous native son in the Museo Leonardiano set in in a 13th-century castle. Here you’ll find models of many of Leonardo’s inventions, most based on drawings from his notebooks. You are guaranteed to be wowed by his conceptions of a bicycle, and armored tank and many other things. You’ll find little Vinci to be a fascinating experience. Lucca, also in Tuscany, just a short drive north of Pisa, is a former Roman colony. Founded in 180 BC, it’s renowned for being the only city in Italy where the ancient stone walls that surround the town are still intact. 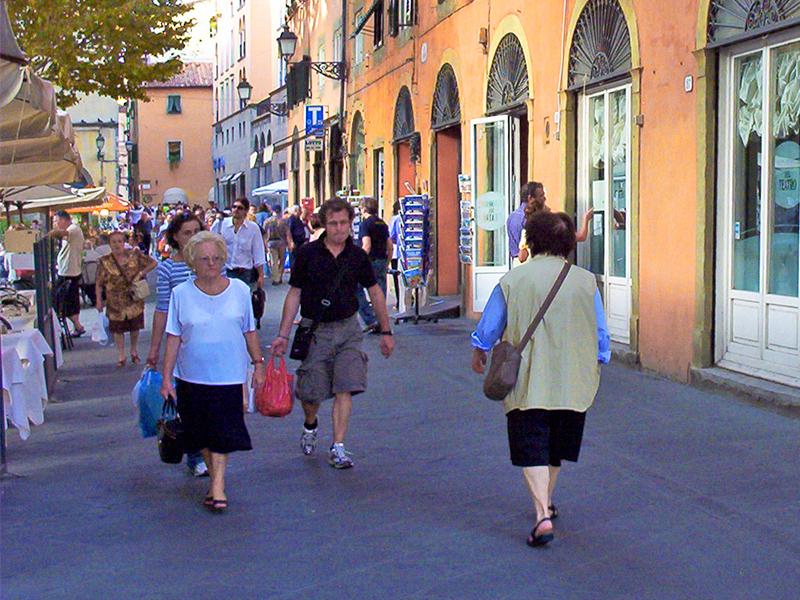 The walls also provide the added benefit of minimizing traffic within Lucca itself. This makes it a great place to wander around on foot. Be sure to see it’s beautiful old 11th-century Duomo and the Piazza San Martino that surrounds it. To many travelers, though, Lucca’s real claim to fame is its cuisine. Rated by some as the best in Tuscany, Lucca is as popular for food as it is for sightseeing, two reasons it’s one of the most wonderful places in Italy. Plan on spending the better part of the day here, giving you the opportunity to have both lunch and dinner. And then in the evening take a stroll along the top of those broad city walls where you can admire the beautiful city from above. 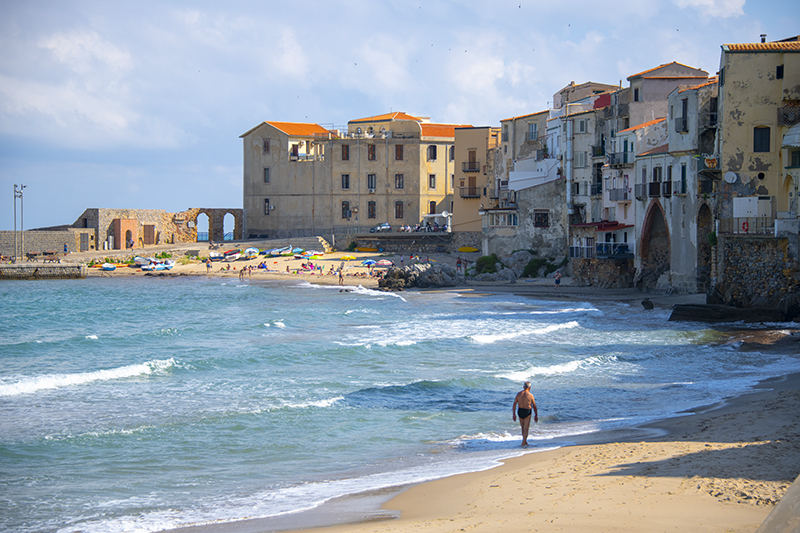 Cefalù is a dreamy ancient town on the northern shore of Sicily. And it’s only about an hour’s drive from the chaos of the regional capital of Palermo. It’s also easily reachable by train from the capital. Another of the best places in Italy, it’s a beautiful medieval town with narrow pedestrian streets and renown for the Byzantine mosaics in its Norman cathedral. Many travelers, however, especially the French, find it more like the French Riviera than the rest of Sicily. There’s even a Club Med here. The beaches along the aquamarine and cobalt blue sea along the north coast of Sicily are beautiful and much cleaner than elsewhere. 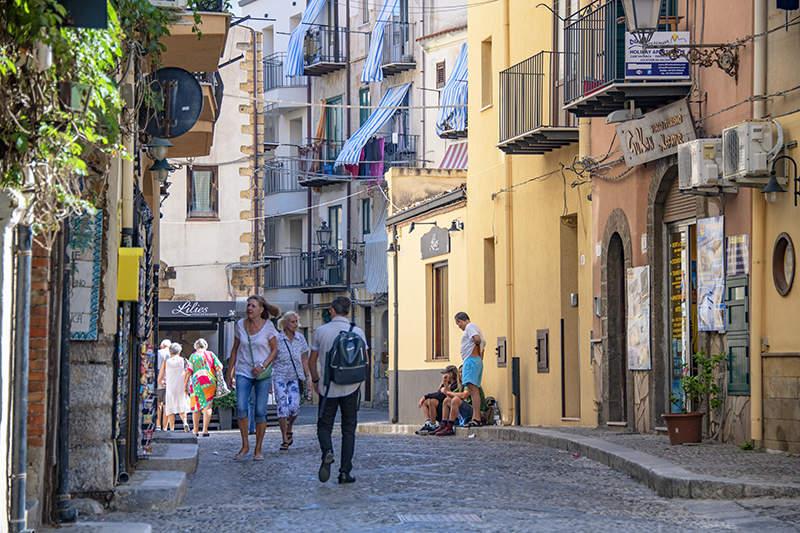 They, along with the medieval character of the village, are what attract many to popular Cefalù. Trieste, the northern-most of our best places in Italy, is the capital city of the region of Friuli Venezia Giulia in northeast Italy. A port city, it’s north of Venice, snuggled up near the border with Slovenia. Trieste was a free port in the Austro-Hungarian Empire, which attracted numerous nationalities. They remained, and today you find Italian, Austrian, Slovenian, Croatian, Yiddish, and more, sprinkled in the urban mix. 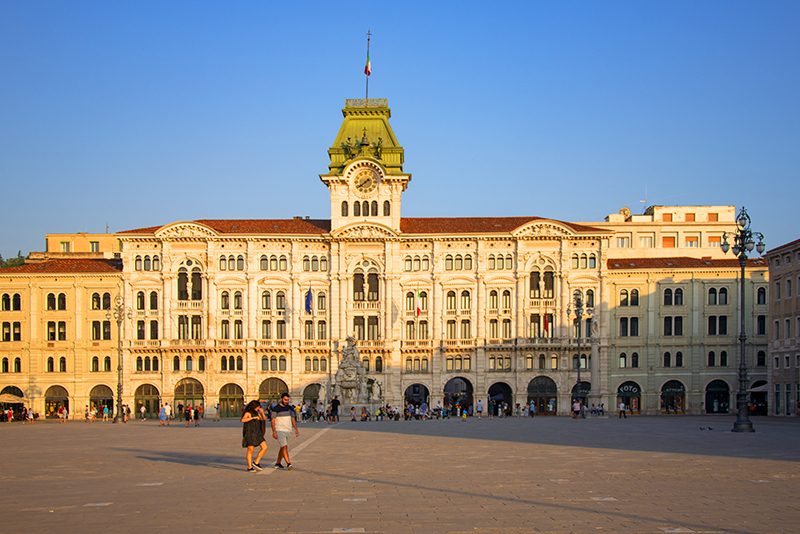 Trieste’s architecture is more central European than Mediterranean. In its Piazza dell’Unità d’Italia, the largest sea-facing square in Europe, a Venetian influence is apparent in the outdoor cafés. Just a few hundred feet away the Canale Grande reaches several blocks into the city, soothing canal-side café patrons with beautiful views. As Italian, I knew and I have been to all these places and I appreciate that you put them on this lovely list. I second you in recommend them to others. Thanks Federica — it’s good to have the approval of an Italian travel expert! I’ve been to Italy but as you mention, it is the usual suspects -Rome, Venice and Florence that I explored. I did manage to drive around Tuscany a little bit and loved the little villages there. And also, a day trip to Capri from Rome (wish I’d spent some time in Positano as well). However, Sicily is one place that I missed and it has been on my list for the second trip ever since (not sure when I’ll make it back but whenever I do), and I’m also adding Puglia as it looks amazing, thanks for the inspiration! Thanks for the comment Medha. And yes, do visit Puglia. It’s quite different from many other areas of Italy. We live half the year in Italy, but in the north! I’ve not yet been to Lucca but I hope to one day soon. 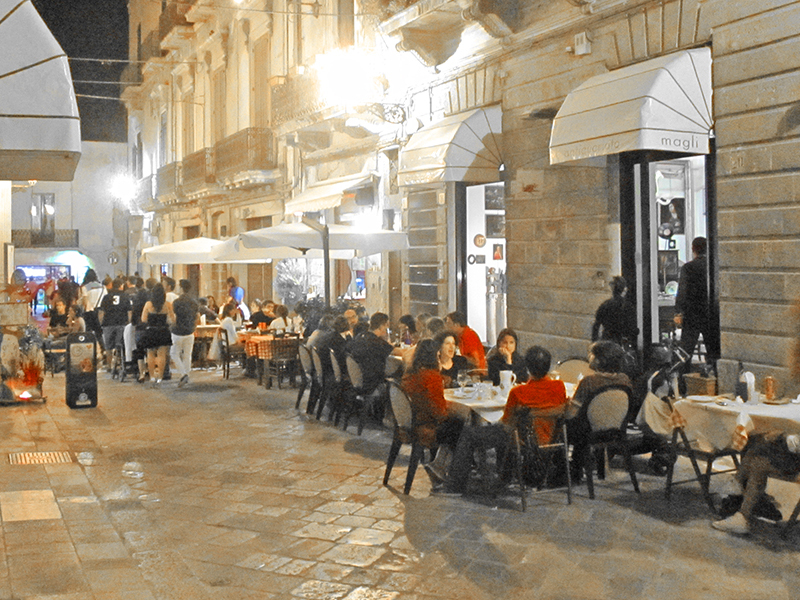 You need to visit a restaurant or two in Lucca!